About this time 13 years ago, my mailbox was flooded with wave after wave of college brochures. From near and far, everyone was sending beautiful campus scenes and course options my way. Among the massive piles of mail was a three page spread from a liberal arts college in Western Mass. 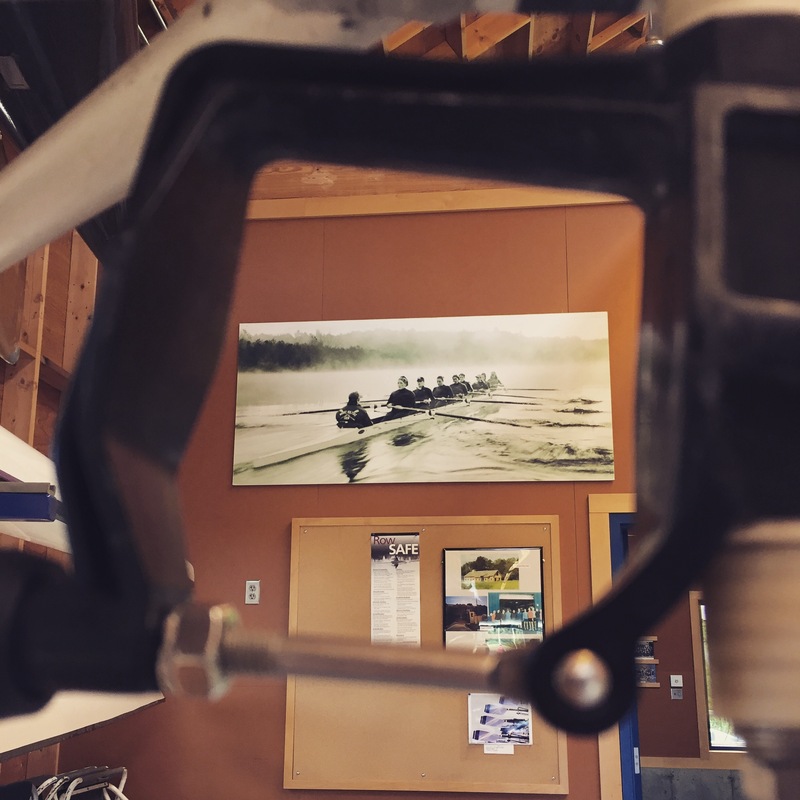 It showed women rowing – a team of strong individuals out on the water with the mist rising around them. I kept it while I recycled most of the rest. Many college visits and applications later, I visited that place. I met those nerds, sat in their classrooms, debated whether Hillary Clinton would run for president and if Harry would defeat Voldemort. And I chose that school for my college education. 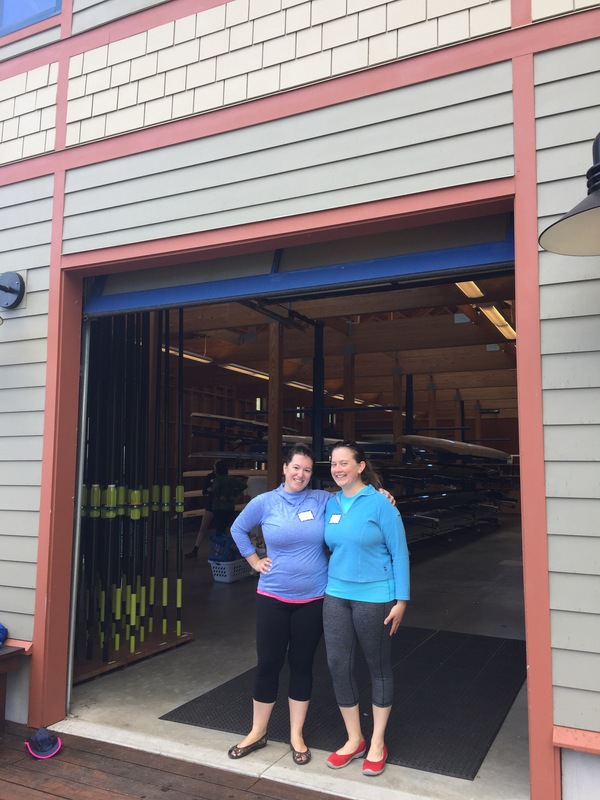 This weekend, I went back to Mount Holyoke with one of the best treasures of my time there – my friend Kate (she of Mount Washington hiking fame, loyal readers) – to celebrate the thing that brought us together: 40 years of rowing on the Connecticut River. Kate coxed our 8 (the O’Malley) and we rowed up and down the river. A flood of memories washed over me. How carrying the boat seemed easier now but stretching my legs right seemed harder. How to lock the oar for the catch and keep good swing in your slide. The commands I know from muscle memory – just like I remembered that one place where your thumb rubs on your outer hand and will DEFINITELY turn into a blister. 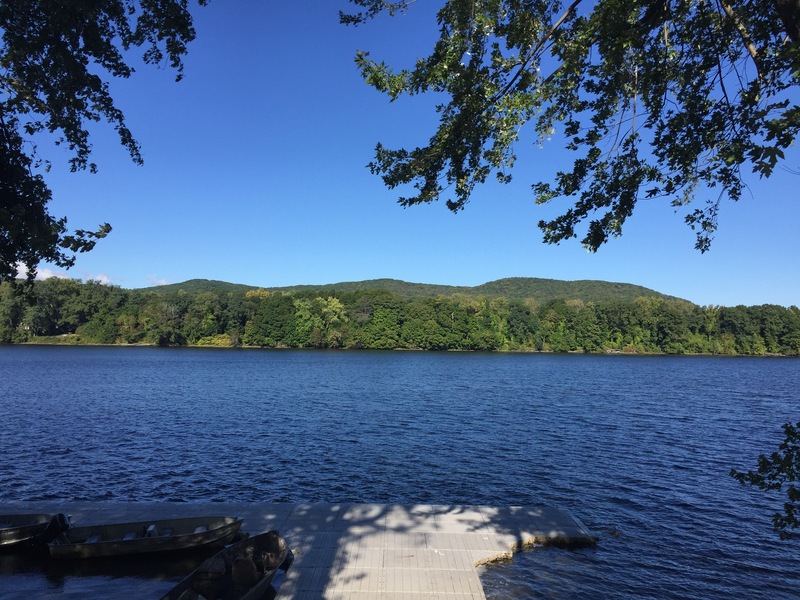 And how amazing it feels when the boat glides across the choppy water of a New England river. Fun fact: our coach thought we were the same person for 3 seasons. Wearing matching clothes by accident still doesn’t help. At night, we celebrated the christening of a new boat – blessed with champagne and river water – in honor of fellow alum and Olympian Mary Mazzio. At the dinner that followed, she told us about how getting through excuses and focusing on herself rather than her competitors made the difference in her success. And she reminded us that pull ups are “money in the bank” and was appalled at how few of us could do them. Sorry Mary! I feel like I was blessed with river water myself this weekend. It was a beautiful reminder of the best decision I ever made – and all I gained from that charming, powerhouse of a college. And to think… it all started with this poster. I love a good health trend. From novelty races like the Color Run to switching to agave instead of honey in my tea, I find that while health and exercise trends might not actually make a huge difference in my life, it’s fun to change things around now and then to keep myself energized. So I was ready to love crossfit – to have some reason to shell out $200 a month for a new gym, to make some new friends, to stretch some new muscles. I write this from the morning after a free crossfit demo in Boston’s Back Bay, courtesy of City Sports. I can’t move most of my body, so I guess that’s supposed to mean that I had a good workout. But really, it just makes me mad. That was your chance to wow me, crossfit, and you blew it. I’m going back to Zumba, boot camp in the park, and 5ks where costumes are required – at least they don’t hurt me. Less crowd-focused at the end – last time, we all finished together and then had a giant party. Here, there was a host and people dancing constantly, but there wasn’t an all-out bash with group color throwing like there was last time. Hence, it would have been nice to have a slightly larger team together. Slightly more athletic – this was less winding through a parking lot and more of an actual course. It felt really easy though (other than mom’s blisters), probably because we were still in good share from our half marathon training. 50% more rad – the mirrored sunglasses, the knee socks, the music – it was all quite fabulous. Also hoping that their new instructions for keeping the color in actually work (last year they said soak in vinegar and it failed – this year they recommended spray adhesive. Fingers crossed!). Onward to next year, and to seeing if I can get this dye off of my shorts! Summer opens up a million new ways to soak up the sunshine – even as work stays intense, weekends are filled with weddings and traveling, and patios serve up delicious food and drinks. Playing softball with Social Boston Sports – we started the season as a group of free agents, but now we’re “Loose Change,” the friendly, talented, and generally awesome softball players who hit the fields by the Charles every Sunday evening. After the season ends in two weeks, we’re moving to another field to keep the fun going as a real team! Biking for the first time in years. I just got my biked tuned up and practiced riding it up and down the street today, without worrying about what my neighbors might think about a 27-year-old going in loops like a kid. Next up, taking it on the bike path (once my lights come in!). Free boot camp and outdoor exercise at Post Office Square – this is the awesome free one that I want to see YOU at! Sara and I went today and it was awesome – basically group training, if not personal training. The downtown location is perfect for me, the 7:15 start time gives me time for breakfast and a shower before work, and the trainers are really nice. Not near you? How about one of these other awesome outdoor exercise classes throughout the city? Running! Just because our half marathon is over is no excuse to stop running. 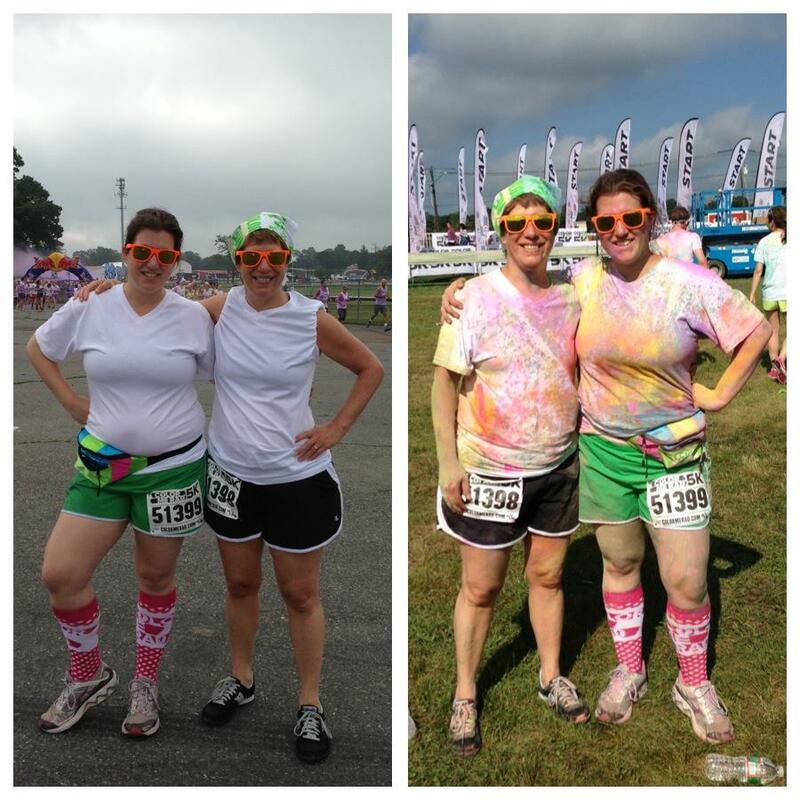 I have two 5ks coming up, including Color Me Rad in July. I also got in a good sunset mile run around my neighborhood last week – when the sun stays out so long, I might as well join it! Dancing the night away. I think I got about a year’s worth of exercise at Katey and Sal’s wedding, between all the shimmying and shaking and grooving. So much fun, and dancing just makes me want to dance more… more… more! Let’s dance! What are you doing to keep moving this summer? This spring has been anchored in running. Run because you’re strong. 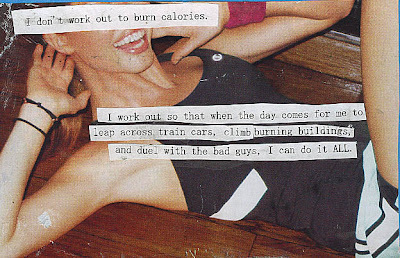 Run because you want to feel better. 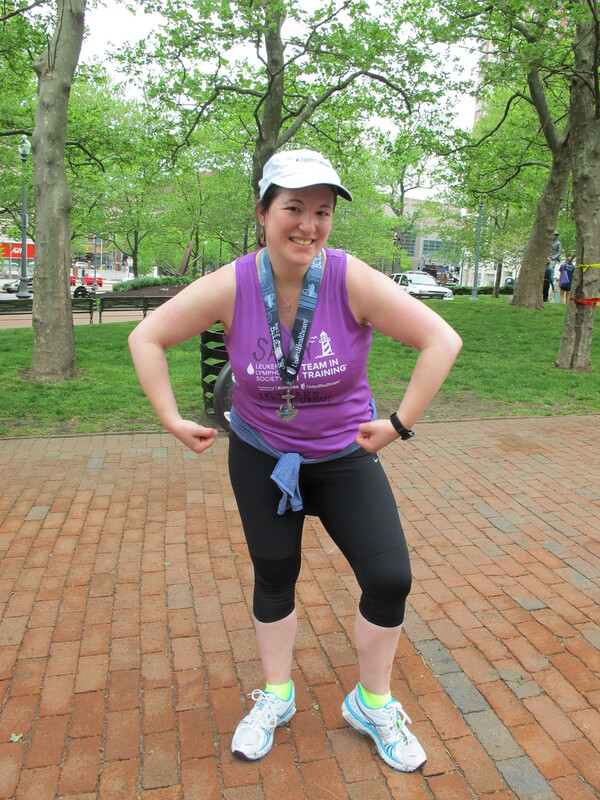 Run long because you’re sure as heck not running the Boston marathon. Run in honor of those who were there that day. Run in the cold. Run on the bike path. Run on the rail trail with mom on the weekend. Run run run run run. 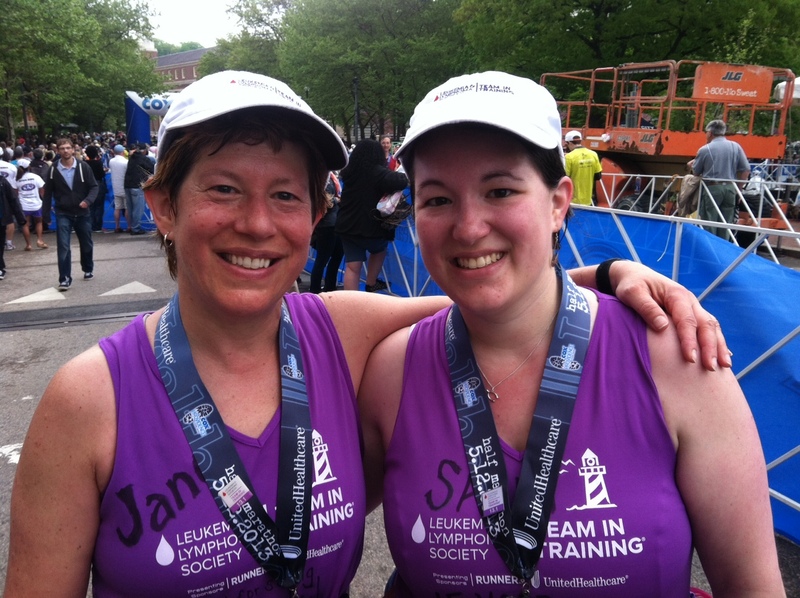 On Sunday, we finally had the run we were waiting for: my very first half marathon. The start line at the Cox Providence Half Marathon was gray and overcast – we had lots of company at the 14:00 mile marker, including lots of cops in riot gear. When the race finally started (late), we started out under cloudy skies. But the next three hours got brighter and brighter, metaphorically speaking, as mom and I ran. Even though the first half was entirely uphill, it was spotted with awesome sights (thanks, dude playing a banjo on the porch! ), beautiful houses, our awesome family and fan club who we got to see SIX times between the start and the finish, some friendly competition with some other gals who were running at the same pace as us, and more. It wasn’t always easy – the hills were killer, and the downhills made my knees ache even as I was grateful for a change. We got super hungry halfway through (working out for hours can do that to you!) and it rained for a bit. Through the race, I felt stronger with every footfall that reverberated off the pavement. With every inch behind us, we got closer to this amazing accomplishment. The area by the Leukemia & Lymphoma Society’s water stop was paved with inspirational posters that literally brought tears to my eyes – notes about how we run because they can’t, how we run because they can, how we run because they – survivors, patients, loved ones – once did. Because of the 20+ names on my back that spoke to just how much blood cancer can touch a life. And because 15 years ago this spring, I was a sick, bald kid in a hospital bed who wasn’t sure I would live to have my first kiss, and today I was a successful woman, running a stellar, challenging race. When we passed mile 10, I took one step further than I’ve ever gone in my life. And it got better – the final leg of the race course merged with the full marathon course, and we go an extra boost from finishing alongside some quite fast marathoners. As we got near the finish, we could see the crowd ahead. All up and down the sidewalk were fellow runners, family members, neighbors, friends, and students, all out to cheer us on. 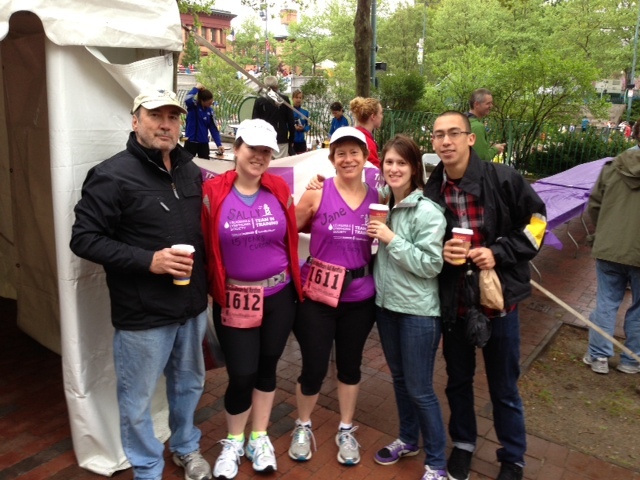 Their cheers built into a roar of bells and applause and screeches to push us across the finish line. You might have thought that the area around that yellow line would be a little less populated this time around, but you would be absolutely, delightfully, overwhelmingly wrong. Instead, people showed the best of themselves, and passed it on to everyone else around them. This was my first half marathon, but it’s certainly not my last. This confirmed the one thing that I was actually afraid of in this whole process – the concept that I can truly do anything. And now, I have no excuse not to try. Thank you for all your support this year – I can’t wait to tell you about the next adventure… just as soon as I decide what it is! This = the way I see life. And if I can also fit into a smoking hot dress for Kat’s wedding – even better. Mostly I just want to live to be 100, and have an awesome, healthy, world-changing time doing it.